BRAND NEW IN BOXPIONEER GM-A3602 1 or 2 Channel Car Audio AmplifierFrom dramatic distinction to dram.. 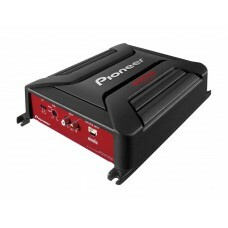 BRAND NEW IN BOXPIONEER GM-A5602 2 Channel Car Audio AmplifierDesigned to enhance your in-car audio .. BRAND NEW IN BOXPIONEER GM-A6604 4 Channel Car Audio AmplifierGive into your deepest desire for powe..